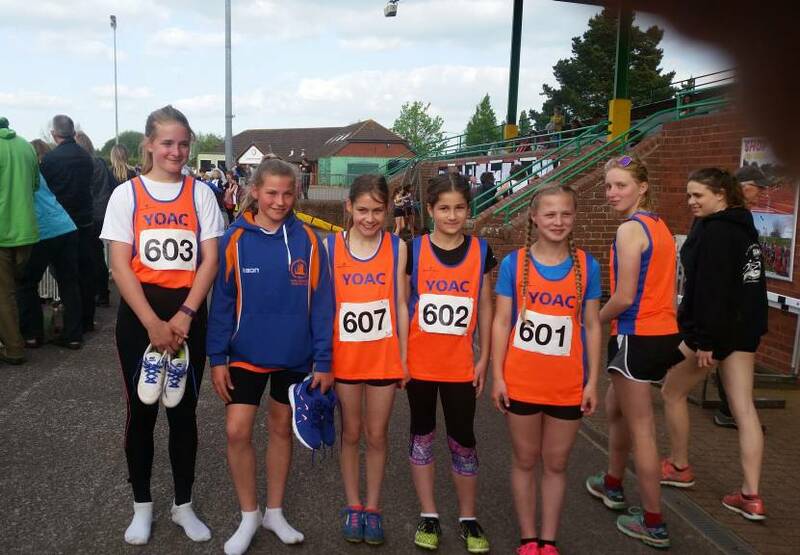 On May 7th we took ten U13 girls to Exeter Athletics Arena to compete in the first South West League meet of the season as part of the YOAC team. Many of the girls were only year 6 and had very little experience of competitive athletics but after a little gentle persuasion soon overcame any nerves and entered into the spirit of the day. We had at least one athlete in every event gaining some very valuable points for the team, especially in the shot put (Phoebe Lush 1st and Amie Backwell 3rd I believe), the long jump (Phoebe jumping over 4m closely followed by Mia and Bea), the high jump, javelin (Lara 2nd) and the sprints (Bea Southcombe 2nd , Sophie Gillard 3rd in 200m) with some very impressive hurdling by young Vivienne Card. The day was rounded up very nicely with a very impressive (1st time) relay race where the girls achieved 2nd place in their heat. However, the thing that most impressed me was how they all supported each other and the fantastic team spirit throughout the day. Well done girls!